Maybe you have seen one of these before—it’s an all time first for me. Look closely … it’s not what it seems to be. 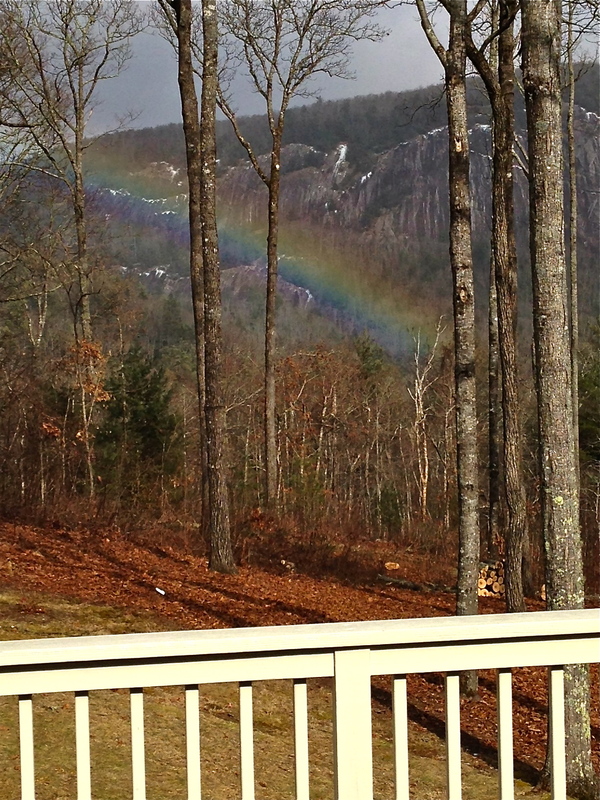 This amazing band of color appeared in my back view just before the big storm last week—it wasn’t even raining. It is a snow rainbow—or should I say snowbow! Have you ever seen one? Not me. I had never even heard of one, but there it was. The turkeys didn’t even notice. Guess they see them all the time! All photos by Lissy Parker for lissyparker.com. You are wlcome to ‘borrow’ my photos, just please credit the source. Somewhat like the green flash in the Carribean. Hmmm takes endless patience and a rum swizzle and you may see. Sure quiets the children watching for first glimpse of. Up there with looking for the Faberge egg at Easter. Lynn, I am keeping a close eye on this spot—the three bears were there in the Fall. Beautiful are the N.C. mountains. 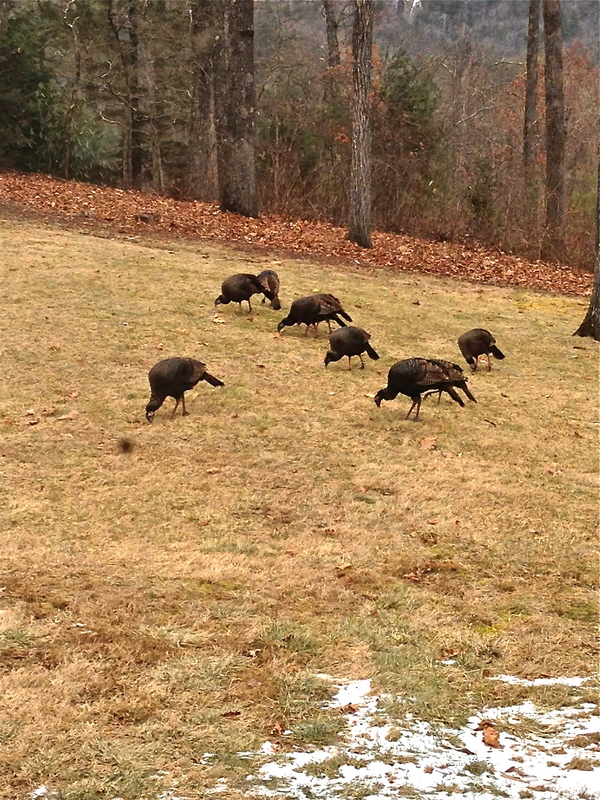 Have seen wild turkeys near Blowing Rock on Blue Ridge Parkway. What is there not to love about North Carolina? I have never seen a snowbow or heard of one either. It is beautiful! Thanks for sharing! Lissy…since we do not get snow…I know boo hoo..I have not seen one but I have seen those same turkeys in my yard here and at the lake!!! The snow was beautiful! We had only snow—no ice— so traveling was easy just slow. What a remarkable photo. How fortunate you were to experience and record such an extraordinary event.